Great final workday of the year! Over 40 volunteers from Memorial Mustang Outreach Bunch and Alpha Charity League (along with our regular stable). 38 bikes refurbished! 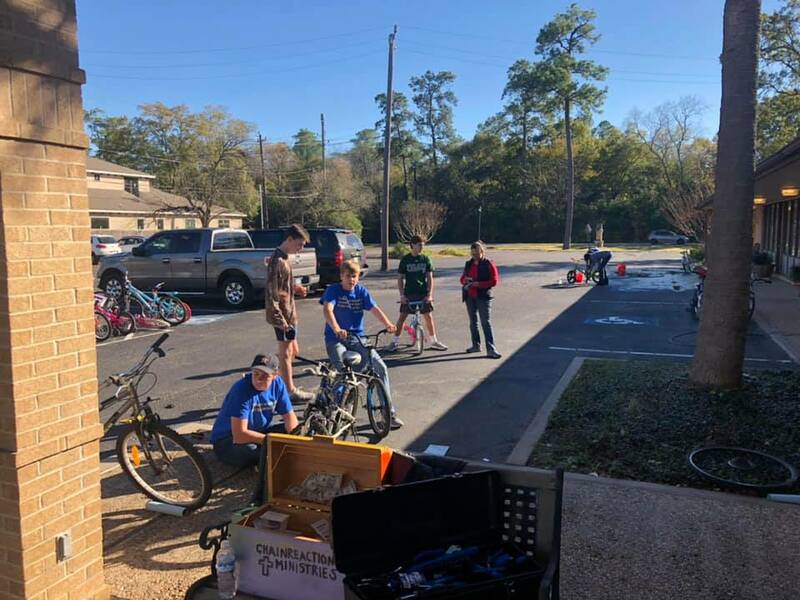 Spencer, a Memorial HS junior who had volunteered this year with us, did his own ReCycle Day with friends and the power of a memorial area FB page, and dropped off over 60 bikes! We are blessed to have had a fantastic year of service, helping over 12 different assistance ministries and public agencies in their efforts to help their clients get and keep jobs. Thanks to Memorial Drive Christian Church, and all of our volunteers and followers. Here’s to a great year and many more to come!